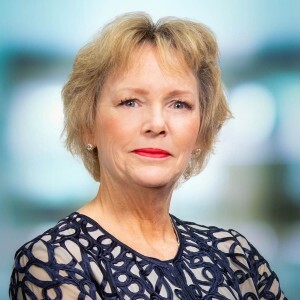 INSA’s Acquisition Management Council (AMC) works to improve the Intelligence Community’s ability to procure and oversee high-end services contracts efficiently, promptly, and with agility. 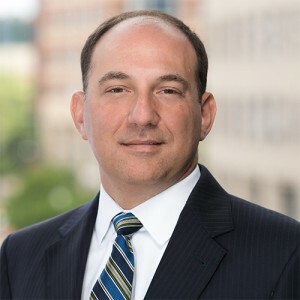 It was established as a short-term working group in 2016 to provide industry perspectives on a discrete set of questions at the request of the Office of the Director of National Intelligence (ODNI). To facilitate continued public-private collaboration on acquisition and procurement after the completion of this effort, INSA upgraded the working group to a full policy council. The AMC takes the position that a more effective and efficient services acquisition process would improve contractor performance, generate higher-quality work, enhance agencies’ mission effectiveness, and reduce costs and delays. Over the long-term, a modified process that rewards innovation, quality, and performance would improve the health of the industrial base on which the IC depends for expertise and support, thereby enhancing both national security and economic growth. Learn more about the council's mission and goals. 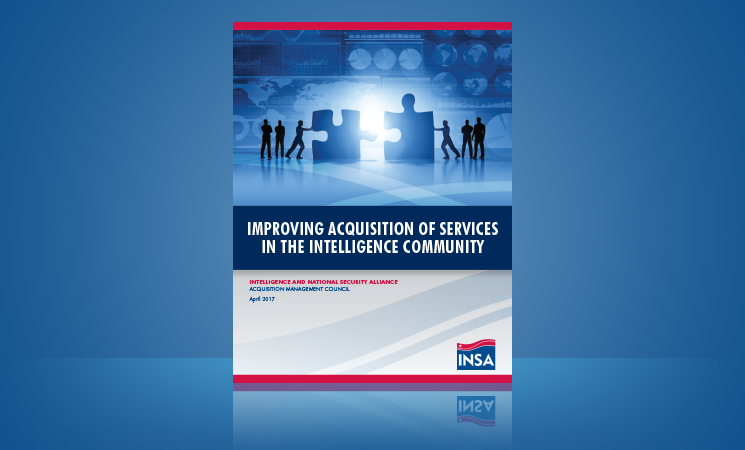 INSA presents recommendations that the Intelligence Community (IC) can implement within existing authorities to get better results from its professional services contracts. 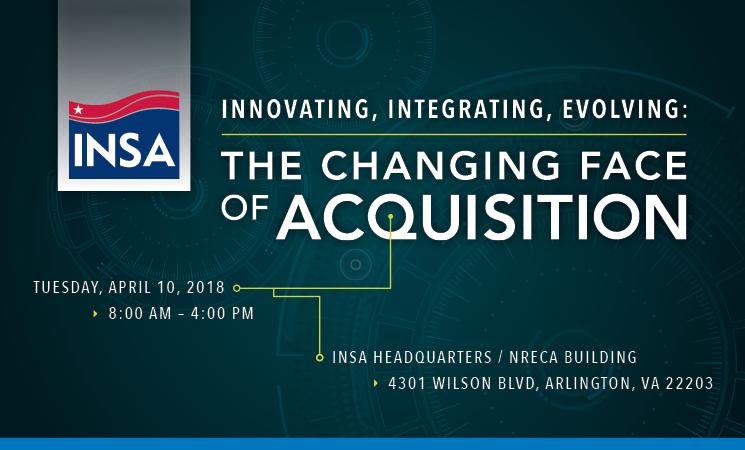 Government and Industry Discuss "The Changing Face of Acquisition"
This symposium at INSA on Tuesday, April 10, 2018, brought together leaders from the public and private sectors to open a dialogue on how to enable service-based acquisition at speed and scale in support of national security. 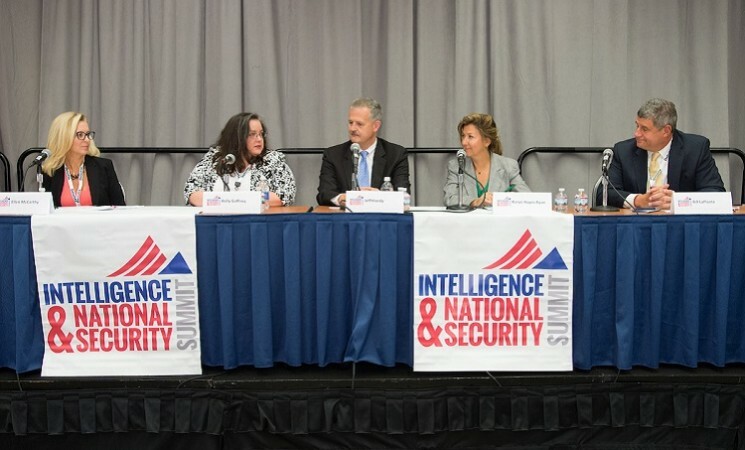 "The Intelligence and National Security Alliance has some suggestions for how the intelligence community can improve its acquisition practices," writes Mark Rockwell for FCW from the 2016 Intelligence and National Security Summit.